Life is Feudal • View topic - Development News #91 — More Style, more Combat Tweaks! Development News #91 — More Style, more Combat Tweaks! Today we would like to say a few words about combat system tweaks which will come to the game with one of the upcoming patches. Some of the changes are really long-awaited ones. The first and the main point is the confrontation between cavalry and footmen. To balance the cavalry advantage we have fixed the bonus of 60 level pikeman horse stopping ability: Using the proper angle of attack with pike against a horse at the skill level above 60 you will stop the horse moving at any speed (even with unstoppable effect). Standing on the ground against other classes would also be a little easier thanks to increased padded armor effects. Meanwhile, life in the cavalry will be more difficult due to a decrease of armor protection from piercing and slashing attacks. This is also a gift for archers, and it is not the last one. The strength needed for the proper use of bows will decrease for all types (except primitive), which in combination with the increased initial velocity of arrows and less stamina drain per shot (for longbow and composite bows) will make archers more effective. That’s not all for the archers! A new iteration of the Volley ability will be available for you to try out! It has less range and arrows have less initial velocity. Up until now this sounds like a nerf, well, frankly it is, but it makes this ability useful in several in-game combat scenarios. Also, the new ballistics system increases arrow damage from heights. To make the life of cavalry a little less miserable we will increase the damage of 1.5H swords and buff the spirited warhorse’s stamina pool as well as its regeneration rate. There are more combat changes and updates which you will find in the corresponding patch notes. Re: Development News #91 — More Style, more Combat Tweaks! Thanks for the update, man! What profession/purpose is that outfit for, if any? HolyAvengerOne wrote: Thanks for the update, man! I was going to ask the same, but expand on it and ask, "Which new outfits are on the horizon?" Arrakis wrote: and buff the spirited warhorse’s stamina pool as well as its regeneration rate. You can't do that when someone is chasing you tho and that was the weakpoint of sprinted horses (other then the low hp) - they are fast, but they stam out quite fast and they can be catched if they don't restam right before engaging (to have stamian to run if they fail to kill their target). Also not only chainmail is getting nerfs, plate as expected too. 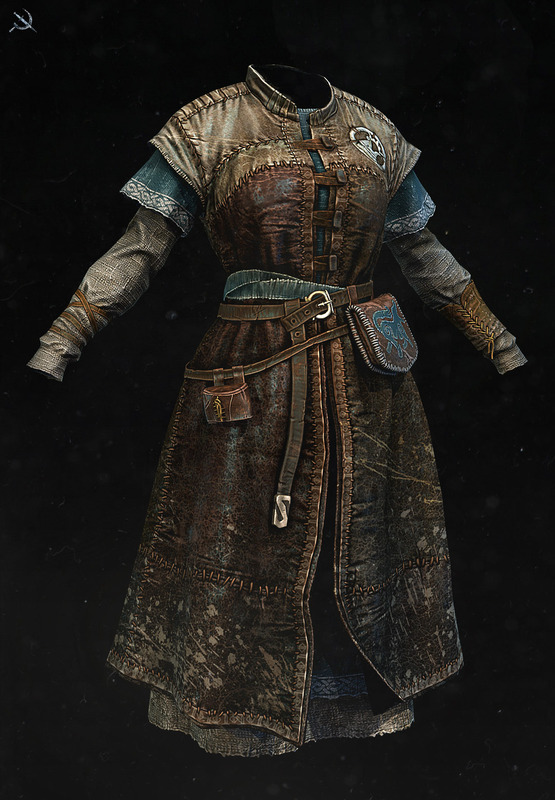 Looks like a jarls outfit for a woman, maybe a tailors outfit but that doesnt make sense. But the nerfs dont seem that big to be honest, the changes to the militia tree skills is good. If only they changed the skill requirements for the archery skill tree it would be better. Would you please elaborate on what the outfit is and if there will be anymore coming out soon. Arrakis wrote: There are more combat changes and updates which you will find in the corresponding patch notes. Where it can be finded? thank you for this future update is great especially for archers but can be added also the possibility of eating sitting on a chair or bench? So when is the Mace, Flail, and War Pick gonna get some graphical love? The war pick could use some stat love too. On a side note - I would love to get an actual flail in the game. when should the patch come? Love the look of the traditional celtic swords :-) and the fact that longbows / crossbows with bodkins will have an increased effect on heavy cav, a good set of pikemen and archers should prove a very scarey prospect. 1. I am wondering what was the reason to decrease plate armor in such big degree ? In my opinion is unrealistic and unfair for the assaulter/vanguard class. Plate armors had better protection against thrust attacks than chainmall armor. Their weak was the point thrust attacks but still better then chain mail or scale armor. Thats why armors evolved during centures. I am not talking about making plate armors OP but before last changes plate armors already were weak against thrust attacks and in my opinion "old protection" should be restored. 2. In last patch you have increased damage done by 1,5 handed swords but I think you forgot to increase damage of 2 h swords to make changes fair and balanced for everyone. Now Big falchion (1,5 h) q80 has 72,82 slashing damage and Claymore (2h) q80 only 65,47 slashing damage Zweihander q80 is doing 81,97 slashing damage. Are you going to balance this ? Hope sb will read and answer this. Igor.padi wrote: 1. I am wondering what was the reason to decrease plate armor in such big degree ? It was simply too good and overused, that is supposed to be noticeable by everyone. And the reason for that was it was the best overall armor, esp on tier 2 - almost no downsides other then weight which isn't real problem. The result was majority of lancers riding in plate, big part of the infantry using plate + shield (that was veeery tanky combination), archers with composite using plate and so on. When so many other classes go for plate (for the armor only and not for the weapons/berserker role) then something is clearly wrong. And the change made plate having weakness against can openers which it was supposed to have to begin with - heavy bolts, morning starts and lances are "can openers". As result of that change most non vanguard classes dropped the plate and went back to their armors (lancers to chain for example) as it's supposed to be. I'm sure this has been discussed elsewhere in this thread, but you guys have went waaaay overboard in nerfing PLATE ARMOR PIERCING RESISTANCE. Plate should not be inferior to Chain in piercing resistance. Historically, that is why weapons like the rapier were created and widely used, because chain was susceptible to piercing attacks, while a rapier wouldn't even scratch plate. UN-NERF THE PLATE ARMOR! If the reasoning is because all combat skills were trying to use plate, then make it harder to use (heavier, strength requirements, move it up the tree, etc,), not nerf it into laughability. In addition to (or in lieu of) possible making plate harder to use, you could also make it harder to make. Require more mats, or special ingredients, etc. Also, just realized the other day that bolts and arrows do SLASHING damage? wtf? NO! Bolts and arrows should be PIERCING. Not sure what you guys are thinking here. Crossbows were made in response to plate armor, to PIERCE them! Maybe if you made crossbow bolts do the correct damage, you would have another reason not to nerf plate piercing resistance so badly as well. Also, it would make PADDED armor for pikemen more attractive, since their main issue is getting rained on by arrows and bolts, and padded is better against piercing than slashing (as it should be). These changes are much better game balancing fixes than just nerfing novice (and half plate) into the dirt.